When you’re moving, saying you’re going to be busy is quite the understatement. It can feel like chaos, overwhelming at times, with a seemingly never-ending list of things to be done. Thankfully, it does end, and when the day comes that you get to walk into your new abode, you’ll agree that it was all worth it. Now that you’re finally home, there’s a few things you can do to really take the pressure off and make yourself feel completely at rest. Here’s 5 things to do when moving into your new home. 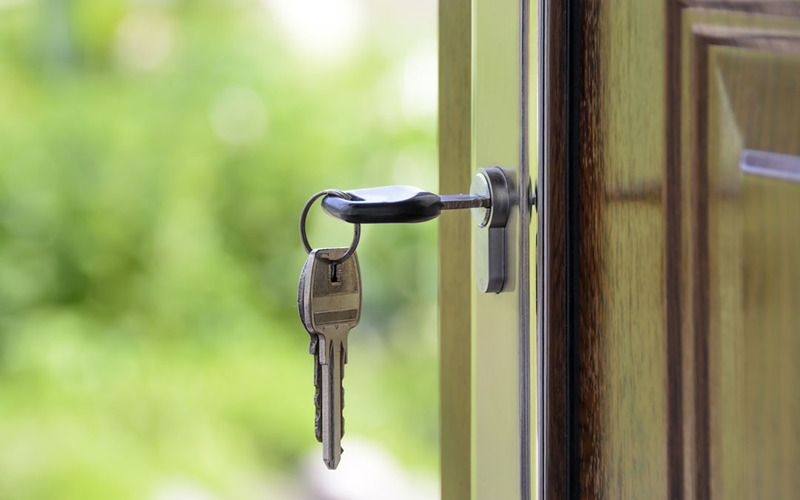 Keys pass through so many hands during the moving process—previous owners, real estate agents, home inspectors, repairmen, movers. You never know who has a key, intentionally or not, so now’s a good time to replace all outside locks. Not only will this put your mind at ease, but it gives you the chance to choose locks that look (and work) the way you want. This can easily fall through the cracks, despite its importance. You’ll need to update all government records of your address (such as your driver’s license), along with any recurring services you use (like heating companies and credit cards). Hopefully, you’ve set up mail forwarding to give yourself a little bit of leeway here (a cost that’s honestly quite minimal and absolutely worth it). Don’t forget to update family and friends on your new address. We’re big fans of a nice, bright postcard! These were likely checked during the home inspection. But, it’s also likely been months since then, and since this is your life we’re talking about, it’s worth checking again. Test every smoke alarm and carbon monoxide detector in the house, replacing batteries if they’re in good shape, and replacing them completely if they’re not. Also, check on their locations within the house. You may find they’re not in the right places, or you’ve areas that could be monitored better. Most homeowners only look for these when the power’s out or something’s gone wrong. And in those cases, stress is often high and nerves are frayed, leading to problems or mistakes. Instead, check on them right away, fining their locations and verifying their functions. Should anything ever need attention later, you’ll be glad you did the legwork earlier. Even with precautions like floor runners, shoe covers and moving blankets, the moving process often makes a house get dirty to some degree. This is especially true if the former owners moved out relatively close to when you moved in, and if either of you used moving companies. So, you’ll want to some cleaning supplies on hand to tidy up the rooms or areas that matter most to you. Typically, the hallways, kitchen and bathrooms. And like it says above, clean to your satisfaction—do what you can, in the time you have, with the energy you have. This one’s a little unexpected, but it’s a great way to refresh the look of the house and make it totally your own. When you move in, you might find the plates aren’t as fresh-looking as you’d like, or they’re broken and chipped, or they’re just plain ugly. New switch and wall plates will brighten up rooms, match your taste, and make the house feel nicely decorated and cohesive. It’s a quick thing, and a little thing, but it’s something that’ll make a big difference in your comfort with—and pride in—your home. Okay, now you’re golden. Grab some iced tea, kick back (shoes off, though—those carpets were just steam cleaned, mister! ), and take it all in. You did it. You’re done. You took care of those things to do when moving into your new home. Congratulations from The Packaging Company, and enjoy!